Welcome back once more to the second installment of Ertai’s Meddling for the Scars of Mirrodin! In today’s column we’ll be taking apart the mono-White Myr tribal deck, and reconstructing it in an improved form. Like the previous Meddling, there will also be a twist thrown in to boot, based on the feedback from the Phyrexian Poison article. We’ll get to that later, but for now let’s review the rules of Ertai’s Meddling. The goal of Ertai’s Meddling isn’t to make the best possible deck regardless your collection or wallet. Rather, by leaving out Rares and Mythic Rares, we look to improve upon the deck with cards most players may already have, or at least have easy access to. It’s often bemoaned- and correctly so- that to compete in Standard today you need to have fairly deep pockets to be able to build most decks. For many players who don’t have Pro Tour aspirations, however, a preconstructed deck and a little bit of tuning will yield up a deck that’s perfectly competitive for casual, table-top play. That’s our goal- take what’s been give to us in the deck, strip out its weaknesses and then build up its strengths. A deck like Myr of Mirrodin presents a rather unique challenge. First, being a mono-coloured deck, there’s less room to operate than we’re normally accustomed to. Second, the myr are a new tribe as far as Magic 2011 is concerned. 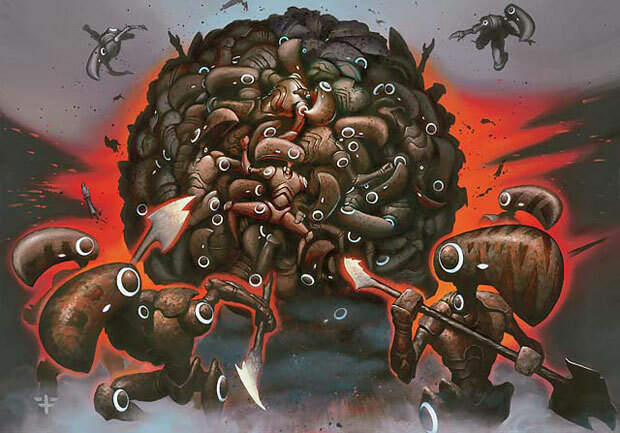 Any myr support will be found in Scars of Mirrodin alone, though there are still plenty of other things we can look at in both sets to help improve its chances of winning! With that out of the way, let’s open up the hood, drag out the toolbox and get to work! Tenet One: The Myr are the heart and soul of the deck. Tenet Two: All Myr are equal, but some Myr are more equal than others. With aplogies to Orwell, we do need to be a bit discriminating in what company we keep. We’re going to want to keep the solid Myr like the Battlesphere and Palladium Myr. 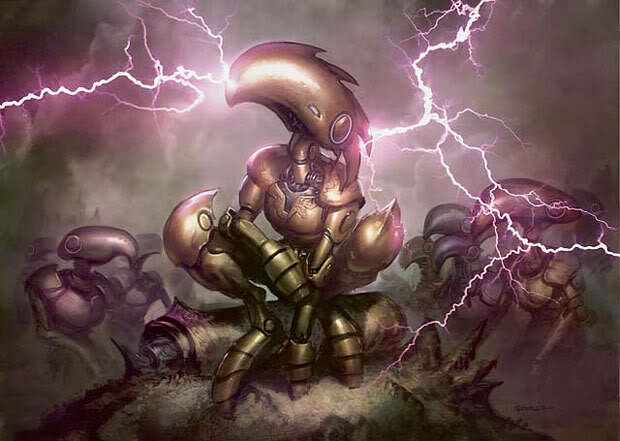 Strong Myr like the Gold Myr, Perilous Myr, and above all the Myr Galvanizer we’ll want to boost to four-ofs. Lastly, though it pains us to give any Myr its walking papers, the Darksteel Myr just doesn’t pull its weight enough in an environment where Infect runs rampant. The poor 0/1 bloke makes a far better blocker than attacker, and the last thing we want to be doing in a swarm deck is holding back cards just to block. Tenet Three: Removal is king. This is always true, but all the moreso in a deck whose win condition relies on ground forces marching past defenders and bloodying your opponent repeatedly. To that end, we’re not only going to want a playset of Arrests, but let’s draft in its M11 cousin Pacifism as well. The trio of Revoke Existences we’ll leave in due to Scars being so artifact-heavy, but if your playgroup has been slow to incorporate the latest set you might want to swap them out for something more tailored to your own meta. Dispense Justice is gone, since it’s too situational to be effective for you when you need it. Ersatz removal card Seize the Initiative is similarly cut to make room for the more dependable removal already mentioned. 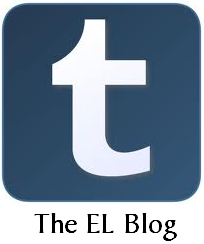 Tenet Four: Remove that which is not essential, and replace it with that which is. Our final tenet, here’s where we try and firm up the deck we’re developing by tightening up a few loose ends and making room for the cards we’ve elected to add. First, in addition to the Darksteel Myr, we’re cutting pink slips for the Ghalma’s Warden (too defensive), Darksteel Sentinel (too pricey and situational), and Kemba’s Skyguard (although we like having a reasonably-costed aerial threat component, they aren’t as essential to our aims as other critters are). The Auriok Edgewright, however, not only gets to stay, but indeed gets rounded out to a four-of. At worst he’s an early bear, but this deck should have little problem triggering his Metalcraft– at which point he’s a steal. In the end, we end up with more artifact creatures than the original deck, though they break almost even after we remove the trio of Origin Spellbombs. This may seem like a step backwards- adding another Myr and drawing a card, what’s not to like? Well, one should never get so taken with a cantrip that one overlooks a mediocre effect. It’s not that paying one for a 1/1 is bad, per se, for in this deck each Myr has a chance to shine. Rather, it’s just hard to justify the inclusion with so many other cards fighting for the slot. We’ve given the deck a very robust removal suite, and lesser options- however useful- need to be pared back. The ‘Bombs are out. By exntesion, however, we are leaving the Inspired Charges in. We’re ordinarily not huge fans of combat tricks, as single-target tricks can get you two-for-oned by a timely removal spell on your target, but Inspired Charge affects your force across the board. In a deck with few finishers (Sunblast Angel, Myr Battlesphere, and perhaps even the Razor Hippogriff), Myr of Mirrodin needs a few instant-speed threats. Between the flood of early critters and the abundant removal, you should have little problem obtaining numerical superiority on the ground in most games against all but the most swarmy opponents. Inspired Charge can close out games by rewarding aggression. So at it’s heart, the Meddled version of this deck is essentially a tightened-up version of the original. More Myr and less filler, with strong Weenies and lots of removal to clear a path to victory. Any one of your finishers should be more than enough to close out an opponent. Although vulnerable to sweepers as all Weenie decks tend to be, there’s sufficient ramp in the deck to get out even your most expensive cards at a reasonable clip. Enjoy! Now, here’s the twist we promised at the beginning of the column. It’s a bit difficult to Meddle a mono-coloured deck twice in the same fashion, because you’re working ground already tended. In previous Meddlings, we’ve taken the two-coloured decks of M11 and made mono-coloured versions of them. So for this one, we’re going to go the opposite route- adding a colour. Unlike past pieces, though, we’re going to throw the challenge out to the community! Inspired by the tremendous volume of comments and great suggestions in the last Meddling (and to give folks ample opportunity to earn chances of winning our contest), we’ll be opening up the floor to everyone to help build the second Meddled Myr of Mirrodin deck. First, a ground rule. When looking at a Weenie/Swarm strategy that needs to avoid stalling out in the mid-game, it would seem that Red is a most natural fit in the environment. Burn to clear out defenders, and burn for reach to finish off your opponent. Within the rules of Ertai’s Meddling (no rares or mythics, and only using M11 and Scars cards), we challenge you to construct a Boros (R/W) Myr of Mirrodin variant in the comments. You needn’t lay out all 60 cards if you’d prefer not to. But make suggestions- what would you keep? What would you add? What should be removed? Once we’ve managed to hone in on a deck, we’ll post an “official” Meddled version as an appendix to this article. Put on your thinking caps, sharpen your pencils and pull up Gatherer… let’s see what you’ve got! It is criminal that you did not go to 4x Myrsmith. It’s one of the best cards in the deck. I’ll probably post something on the challenge later. I’ll be candid- I haven’t had results in playing the card that seem to live up to its card advantage promise. It sounds like you’ve had much better results, and it’s easily remedied by dropping in a couple more. As always I enjoy your insights, troacctid, and am looking forward to seeing what you come up with for the Boros Challenge! Absolute agreement on the Myrsmith. The more tokens you have, the more effective an Inspired Charge will be. What’s more, they all benefit from the Galvanizer. Hey you guys 😀 it’s me again. 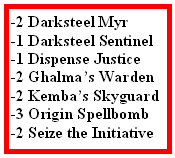 and as a follow-up, i think this is the strongest of the SoM decks, based purely on consistency. The fact that the variance is relatively low makes it a wonderful tool in showing the “weenie rush” of White. Strong? …until you play against proliferate. 1 carnifex demon or contagion engine and all your creatures are toast. I agree; however, myr don’t function well as weenie warriors by themselves. As is, the myr starter is really not a weenie/swarm deck (at least, not a very good one) and is extremely vulnerable to proliferate/pyroclasm effects. Your meddled version rightfully corrects this. I’m not sure what to cut, but since you are going to be getting metalcraft, Blade-Tribe Berserkers is pretty good in the late game to hit for 6, and then you could add in a set of Fling to use on the Berserkers or your Myr Battlesphere to get that last damage after combat. Also, instead of using Myrsmith you could go with Embersmith to do direct damage while you are pumping out the Myrs. For the first version of the deck … I’d rather replace Pacifism with one of the top removals in Standard: Condemn. Plus – let’s not forget with four Galvanizers and some mana producing Myr we have an infinite mana combo here. Why not make use of it? A Golem Artisan to make that innocent Myr token that goes unblocked an instant kill …? This is just a preliminary White/Red idea. It’s probably not the best in the world. 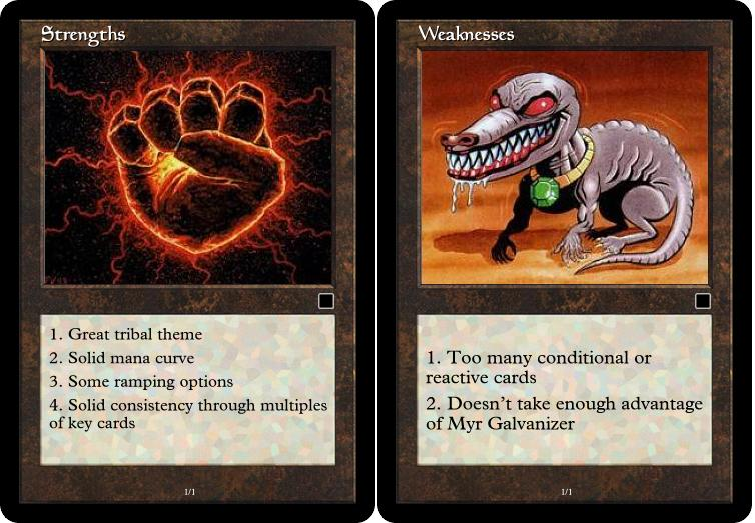 But I think the Myr Galvanizers would help increase the odds of the infinite mana combo. And once enough mana gets generated, the Fireball spells would be a good scalable assault. Definitely open to suggestions, though, as I’m planning on building something at least similar to this once I buy the Myr of Mirrodin deck. A weenie horde of Myr(and Myr Battlesphere) is just screaming for Raid Bombardment. But sadly it’s not a legal card. I’ll have something in a bit, but I just wanted to point out what a great card it would be for this deck. I just made up another version of the plain white Myr deck of which the strength is not the early rush, but the infinte mana combo. I was thinking about how to make best use of it and one card wouldn’t want to leavy my mind, namely the Goblin Artisan. Costing 5 mana, he may not be a bargain, but with a few mana boosting Myr that should not be that much of a problem. Along with him comes the Myrsmith fourfold hopefully bringing a supply of tokens. Once the combo is established with the Artisan out, any Myr that goes unblocked can deal as much damage as required. The best play is still the Battlesphere profiting as well from at least two Galvanizers that keep mutually untapping and thus boosting the Sphere to it’s nonexisting limits. As this version heavily relies on the availability of it’s combo pieces, I re-added the Spellbombs. Not only do they provide tokens but also keep the cards coming. As we know, card drawing is not white’s strong side. For this reason, a pair of Infiltration Lenses might help out as well. Lets see what we have here.. This leaves us with 37 cards to work with. First, I’m mixing in 10 Mountains. I’m regulating Red to a medium support role, which leaves us 47 cards – 13 more..
Forgot something… Add +4 Iron Myr or some Glint Hawk Idols to polish the deck. If you want a recommended rare, then Myr Reservoir would make your deck just unfair. 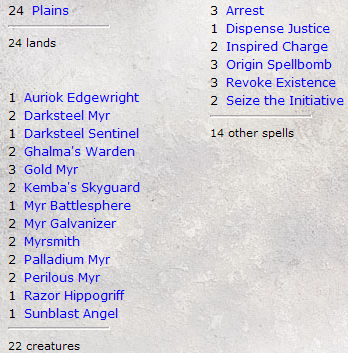 A Myr deck narrowly almost beat my infect deck because of that. If I get you right, you’re keeping the greater part of your red cards in the sideboard for a kind of surprise flame wave in the second game ..? In that case why not add some Iron Myrs to the main deck and replace some of the mountains with Plains? http://tappedout.net/mtg-decks/ertais-meddling-myr-of-mirrodin/ is a updated version of my Meddled deck. Here is something I put together with myrBurn theme. Early cheap burn spells, mid range creature spells that can produce mana for fireball (finisher or creature problem solver) and other spells that can ping creatures/opponent. Arrest can be saved for creatures so the direct damage can hit home. Sacrifice artifact tokens (and perilous myr) to kuldotha and trigger furnace celebration or use mass myr/goblin token to hit hard with inspired charge. I was excited about this constructed deck when the lists came out and it was the first one I picked up. I play a lot with my 9 year-old son, so working with semi-limited decks is really good to keep the power level down and the fun level high. I shifted this deck to RW pretty quickly, though I still play a modified UW version with the Sunblast Angels and some sleep spells as well. The following decklist has worked fairly smoothly. It has the option of the infinite mana combo powering up a big fireball or batttlesphere, but it also has the option of simply rushing the opponent and clearing the way with damage spells. I also have run it sometimes with the Kuldotha Phoenix, which also works wonders. I usually use Mark of Mutiny, but changed it to Act of Treason to fit with the contest rules. You can get 10 mana pretty quickly with this deck, so sometimes the act of treason powers up the battlesphere for a deadly one turn kill. Allright, on to the Boros version. Hmm, that makes me think … Boros … artifacts … what about the Sunforger? Not in Standard? But, that makes me think of coming up with a WR equipment theme. While spells like Galvanic Blast, Lightning Bolt seem to be auto-includes, I should like to go a slightly different way: From the first time seeing this guy, I wanted to build a deck to support him: the Goblin Gaveleer. While he might not be a Myr, he fits perfectly into the artifact scheme, demands equipment and thus contributes to metalcraft. And in case the little guy is not around, let’s wrap the metal around Sunspear Shikari. In order not to splinter the deck’s attention too much I left out the Myrsmith and the Fireball which normally is an auto-include for me as well. As for the removal suite, the red burn spells should do the job. I just keep two copies of Arrest in order to turn off opponent’s utility creatures with activated abilities. The thought here was to use colored Myr and the Palladiums for mana ramp and Myr production. This sets you up for either a weenie rush or will allow you into the mid-game where a Fireball can level the playing field or destroy destroy your opponent. The heavy ballista can do this just as easily. To get that extra reach, a Lightning Bolt should finish him off, or you can Shatter/Sunblast your own Perilous Myr for the same effect.